Very clean beach with white sand. 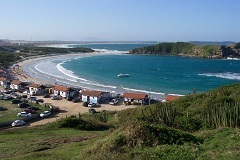 Located in a Area of Environmental Protection known as "APA do Pau-Brasil"
It´s like a pool because of the small waves. Perfect to relax with children. 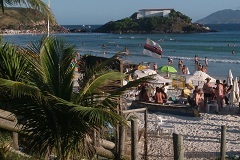 The most famous beach in Cabo Frio. Frequented by beautiful people.